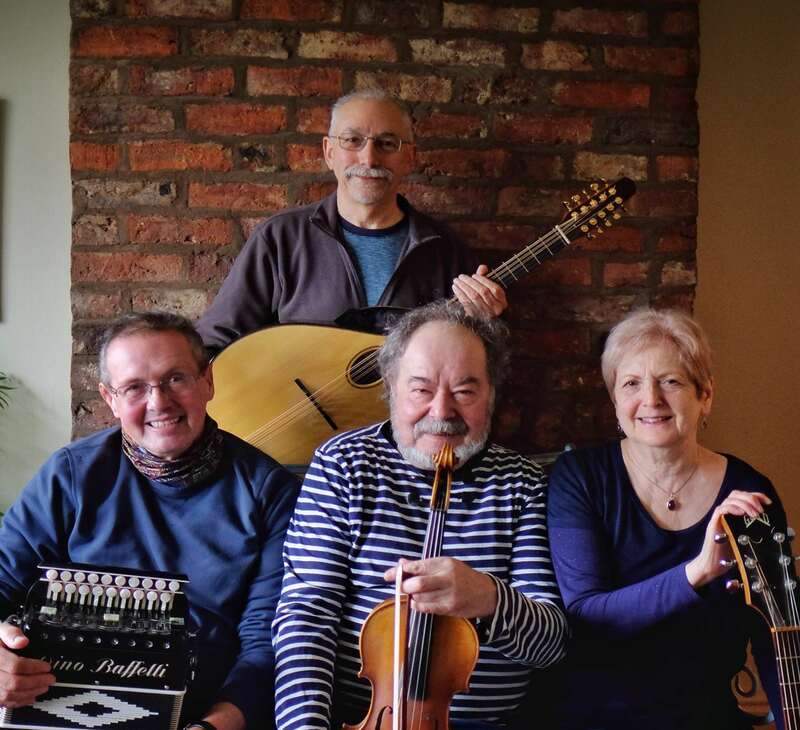 Their material is drawn mainly from the rich traditional heritage of the British Isles, with an emphasis on English music. They also mix in some contemporary folk songs and American versions of traditional songs. Nelson Peach have written a few songs and tunes of their own, including the title track of their second album, ‘Jack Frightenem’, released 2012. “Its a great CD” Ali O’Brien, Sounds of Folk. They make a serious attempt to produce sensitive arrangements, making good use of a range of instruments for accompaniment and enhancing songs with two and three part vocal harmonies.